Distillery in Canada, can you make your own still? 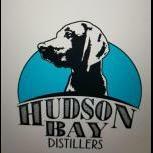 Hi , we are in progress to start our own distillery , but we are really good working and building things. But my question is can you in Canada make your own still or you have to buy from a still maker, is there a law against it, or regulation . ? Thanks for the input. You can. However, most of the stuff I built when I started the distillery has either worn out too quickly or didn't have what it took to get the job done in an industrial fashion. So, unless you are really, really good and qualified, your money and time are better spent on other areas, probably more important to the ultimate success of the venture. paul is exactly right however he is missing the fact that by the time you add shipping and duty and exchange its not such a deal . im not starting a fight paul but the exchange and shipping out of the states now is unreal . i suggest to ya elexer try and source as much as u can from the dairy industry . Hudson Bay makes some good points, especially about the dairy equipment. I used to do a line of equipment I called my backwoods series. I repurposed old dairy tanks for fermenters and used jacketed cooker kettles for still pots and mash cookers. I purchased that stuff for pennies on the dollar. Some of the dairy tanks I purchased for as little as $1.00 per gallon and I purchased jacketed cooker kettles from on line government auctions. I purchased several jacketed cooker kettles for less than $1,000 each that cost 20,000 to 40,000 new. I have all of the fittings and columns and condensers and all of the other components besides the tanks to build a still. Much of it is on my web site at the link below but we have lots of items that are not listed there. Check out our prices with shipping etc. You might find that you can come out ahead using our parts. Thanks for the inside as for dairy equipment, do you have any links you could share? . I have look but not to many i found were actually selling the right things? As far as using dairy tanks for fermenters, horizontal and vertical tanks both work. For a still do an ebay search on a jacketed kettle or jacketed cooker kettle. You should be able to figure it out from there if you know anything about distilling equipment. To start you need to be an excellent fabricator and you need to be a good sanitary tig welder who knows how to back purge etc. If you do not know how to sanitary tig weld then you can forget building your own equipment. if you have to pay a good sanitary tig welder to weld and fabricate then it will cost you more to build the equipment than what you could buy the completed equipment from me for anf have it shipped. This is not something you can weld together with a stick or mig welder, your still will produce a product that could make people sick. if you are thinking of soldering together a copper still forget it. to be safe the copper should also be tig welded or at least brazed.